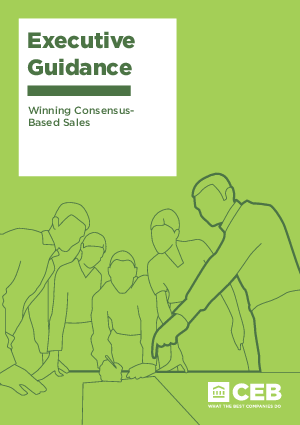 The key challenge of B2B selling today: customer purchase processes are overwhelmed by an increasingly large and diverse number of customer stakeholders who can’t reach consensus on a common course of action. As a result, suppliers’ primary challenge isn’t improving their own ability to sell; it’s addressing their customers’ inability to agree. In this environment, the best companies don’t focus on building a tighter connection between their capabilities and individual customer priorities. Rather, they focus on building a broader, more productive connection among customer stakeholders that is essential to the buying process and purchase decision.